Our traditional Soccer Camp runs for ages 5 (those eligible for Senior Kindergarten in September 2018) to 10 years old. The 5 and 6-year-olds will participate in a separate program for part of the morning, specifically catered to their age group. 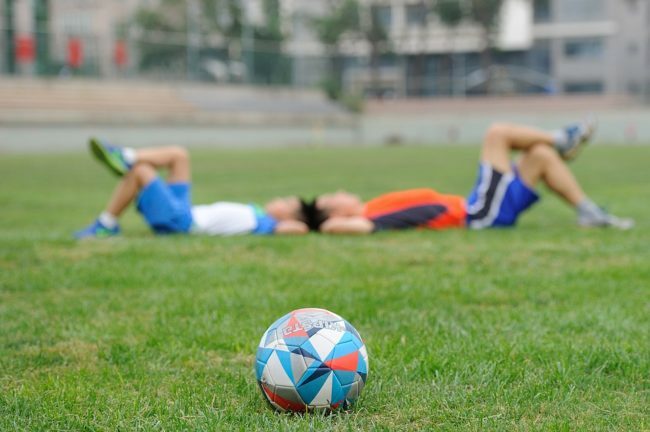 Each morning, children are involved in warm-ups, drills and play a rotation of soccer games (they are divided up into teams, each team is assigned a “coach” (team leader) for the week). This program will continue to be offered for free and will take place at Clarence Maheral Park (170 Castlefrank Rd) August 13-17, 9am-noon. Registration form – Filling out the form does not guarantee a place in the camp. We will contact you to confirm your spot(s). Thank you for making this such a great event every year!